Sequoyah National Golf Club offers a wide variety of customized Stay and Play Packages for groups of all sizes. We offer numerous lodging options and the chance to play one of the top courses in North Carolina. Our website features a Build-Your-Own Golf Package option where you choose the lodging preference (including Harah's Cherokee Casino), the number of days you'd like to stay, and number of rounds you'd like to play. 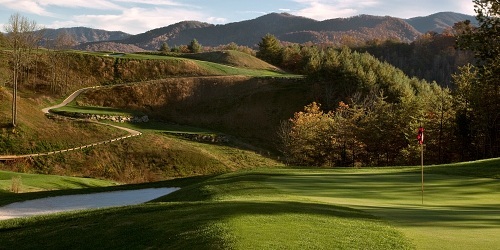 When calling 828.497.3000, please mention you saw this golf package on NCGolf.com and mention promo code: NCGolf.com. Sequoyah National Golf Club reserves the right to change price and offer at anytime. Prices and offer are subject to change without notice. NCGolf.com is not responsible for errors posted in this golf package.